I promise that if I witness bullying I will try my hardest to give help and support to the victim. 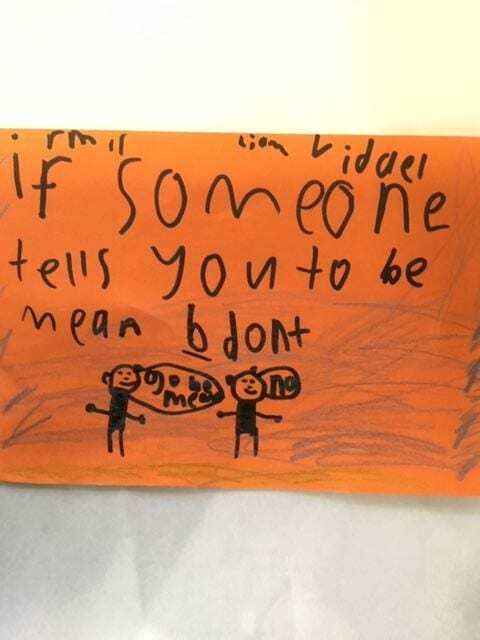 I also promise that I will report any information I have about someone being bullied to an adult. 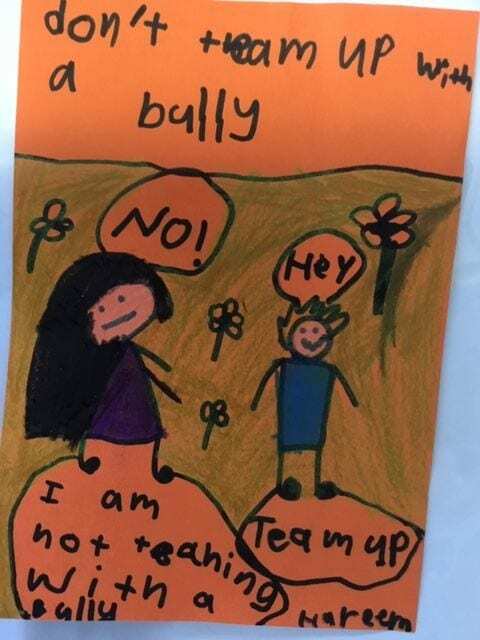 I will also glance at the yard during recess and lunch to see if anyone is being teased or bullied. 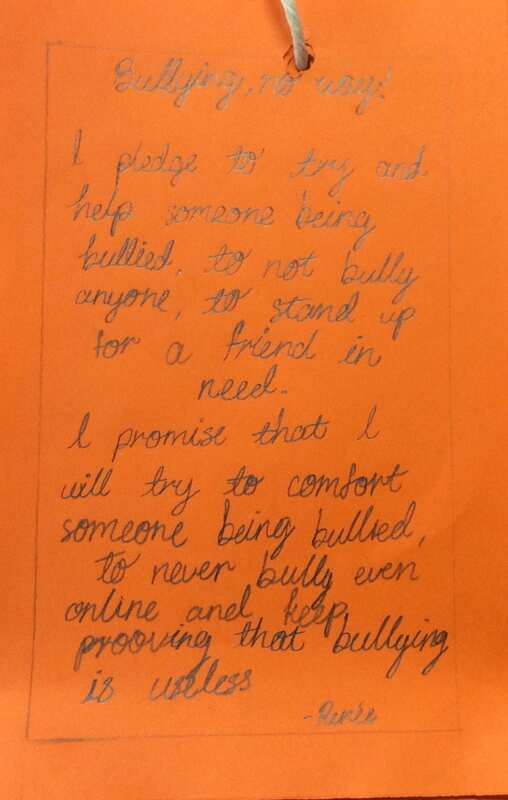 This pledge was made by a student last Friday as our school participated in the National Day of Action against Bullying and Violence. 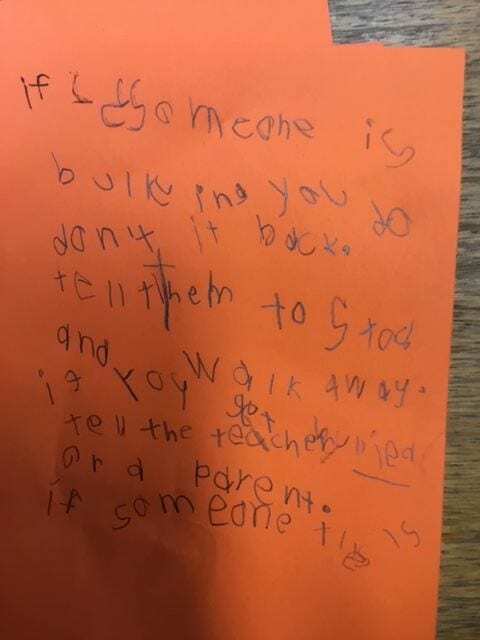 Below you will see some more pledges made by some of our Year 1 students in Room 11. All students reception through to year 7 were involved in discussing the commitment they could make to support one another at our school. 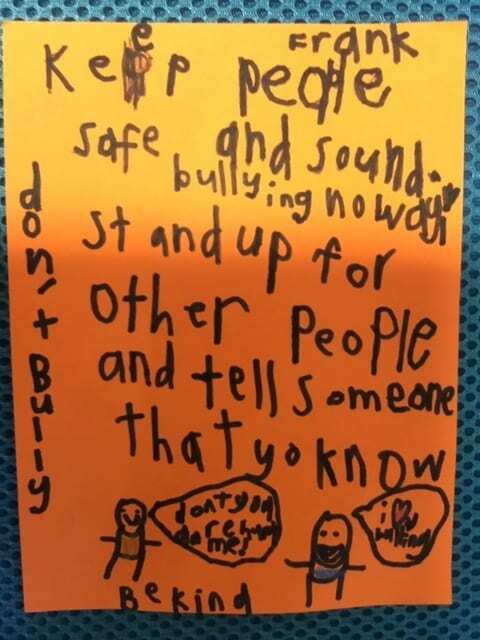 On the day, the students of Unley Primary rushed into school wearing vibrant colourful clothes, ready to show that together we can stand up and take action to prevent bullying. As we entered the school grounds, we saw bright and positive people. We felt committed to ensuring everyone feels safe and happy at our school. Later in the day, the SRC got together for a meeting to prepare a paper chain using the meaningful pledges written by students. It was inspirational to see the words and pictures everyone had shared. Students also enjoyed showing off their multi-coloured wrist bands with the message: TAKE A STAND TOGETHER. I promise that I won’t be a bystander. I will help the person that is being hurt and try to be their friend, even if it means I might get bullied. I know what to do to help myself and others, so why should I just ignore it?